Regie Finishes With Back To Back Majors! 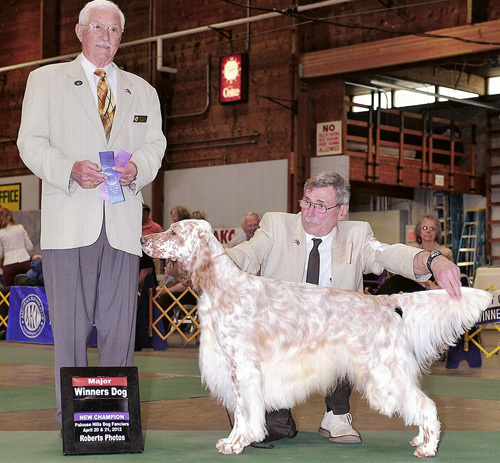 Regie At Stud As A New Champion! 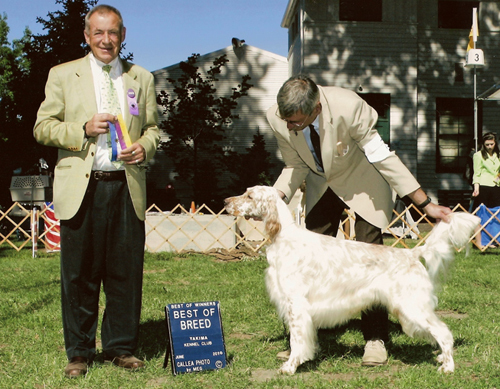 Regie ia a super stud at 60 lbs with good bones, balance and movement. Top line stays firm with no roll. 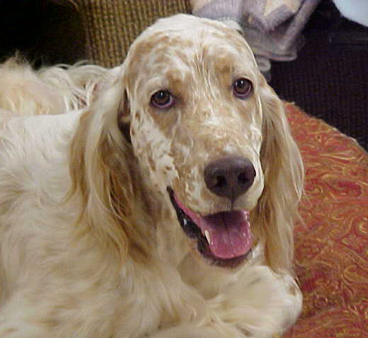 He is as pretty an English Setter as you will ever see. Super pedigree! 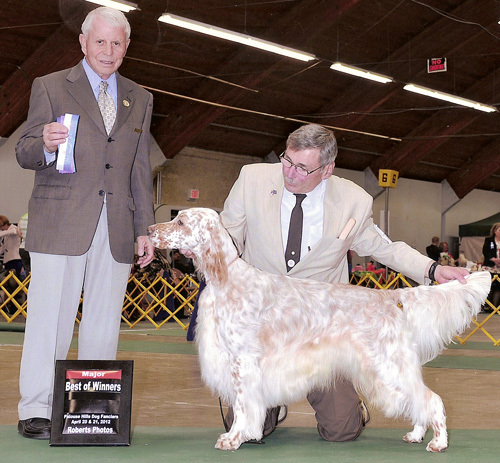 Regie goes "Best of Breed" his first time out picking up 2 points to start his career.